There’s nothing more exciting than surprising your little ones with a vacation to the Walt Disney World Resort and now there’s a new vacation package that makes it easier on your wallet. 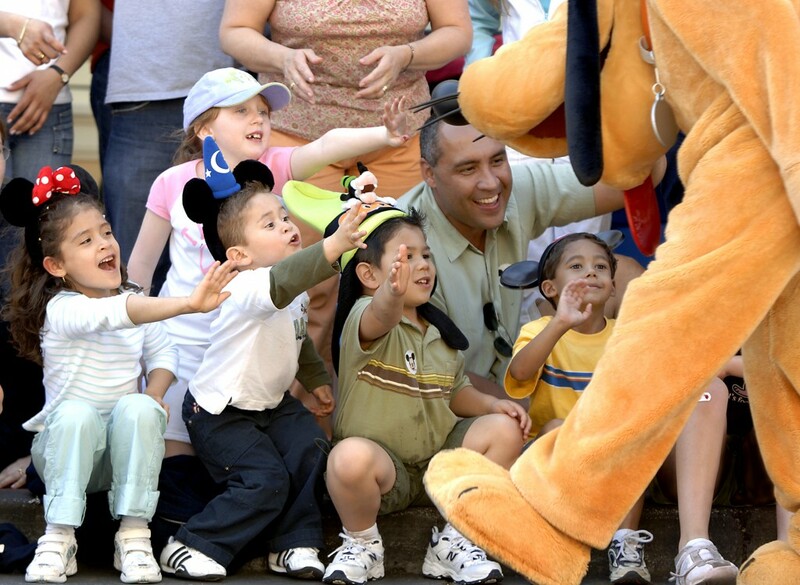 The new ‘Families With Little Ones’ promotion is geared toward families with kids ages 3-9 who might be headed to Walt Disney World for the first time, and is valid for stays on most night from January 5 through February 12, 2014. For $999, a family of three (two adults, one child aged 3-9) can get a 3-night, 2-day stay that includes 2-day theme park tickets, Disney’s Quick Service Dining Plan, and three nights in a standard room at a Value Resort. The Art of Animation is excluded from this offer. Children under 3 are admitted free to Disney parks. There’s so much for the youngest members of your vacation party to do at the Walt Disney World theme parks including visiting New Fantasyland at the Magic Kingdom where they can meet the princesses at Princess Fairytale Hall. The youngest thrill-seekers can take a ride on The Barnstormer Featuring the Great Goofini or maybe save the universe on Buzz Lightyear’s Space Ranger Spin. The restaurants at Walt Disney World have kid’s menus and also offer crayons and coloring books to keep the little ones entertained. And at the resorts you’ll find great themed pools and fun activities for the whole family. To book the ‘Families With Little Ones’ vacation package visit Disneyworld.com or call 407-939-7750. Packages must be booked by December 31, 2013. This entry was posted on Monday, December 2nd, 2013 at 12:00 pm	and is filed under Dining, Hotels, Planning, Theme Parks. You can follow any responses to this entry through the RSS 2.0 feed. You can leave a response, or trackback from your own site.